The U.S. health care system does not work as well as it could, or should. Prices are high and rising,1 there are serious quality problems,2 and many characterize the system as rigid and unresponsive, lacking dynamism and innovation.3 A lack of competition is a major contributor to this dysfunction. In some cases, markets lack the basic conditions required to stimulate and support competition. In others, conditions have changed in ways that reduce competition. The latter has been particularly the case due to consolidation among both providers and insurers. Consolidation has accelerated over the last few years, with more hospital merging, health systems acquiring physician practices, and insurers merging or acquiring providers.4 Many markets are now dominated by one or a small number of powerful health systems or health insurers (in some cases both), with more on the way. A firm that dominates a market and faces little competition doesn’t have to lower prices or costs, push for better quality, or focus on innovation. The virtue of competition is that organizations are constantly pushed to do better—if they don’t, another firm can will take their place. Since consolidation is hard to reverse, recent trends highlight the importance of moving quickly both to block consolidation that is not in the public interest and to take steps that allow more competition in consolidated markets. Stop digging the hole deeper.Increase federal and state scrutiny on both horizontal and vertical mergers and eliminate the myriad federal and state policies that encourage provider consolidation or protect incumbents. Stop paying more for the same service when it is performed in a hospital outpatient department; tie 340B drug discounts to eligible patients rather than the site of service; states should repeal Certificate of Need laws because they restrict provider entry; and stop using COPAs that shield entities from antitrust. Remove barriers to price competition among providers. States should repeal Any Willing Provider laws; mandate accurate provider directories; update scope of practice laws to reflect current knowledge about non-physician practitioners’ ability to safely provide services traditionally provided by physicians; state licensing boards should encourage provider competition through facilitating practices such as telehealth; and increase transparency. Prevent anticompetitive practices. States should ban the use of anti-tiering, anti-steering, gag, and most favored nation practices that harm competition; state insurance commissioners should review insurer contracts for these same practices and take action if they exist; and states should grant this power to their commissioner if they have not already done so. Make it easier for independent physician practices to be financially viable. Allow lower-risk Medicare ACO contract options for independent provider groups; provide access to capital for small practices; and consider making affordable reinsurance or stop-loss protection available in Medicare ACO models. Read the authors’ full recommendations here. Farzad Mostashari has received funding from Aledade, Inc., where he is CEO, co-founder, and board member, which may have an interest in this work. He also serves as an adviser to NaviMed, which may have an interest in this work. In addition, he has received funding from the Indiana Primary Care Association and the American College of Chest Physicians unrelated to this work. Other than these disclosures, the authors are currently not officers, directors, or board members of any organization with an interest in this article. Cooper, Z., Craig, S.V., Gaynor, M., & Van Reenen, J. (2015) The Price Ain’t Right? 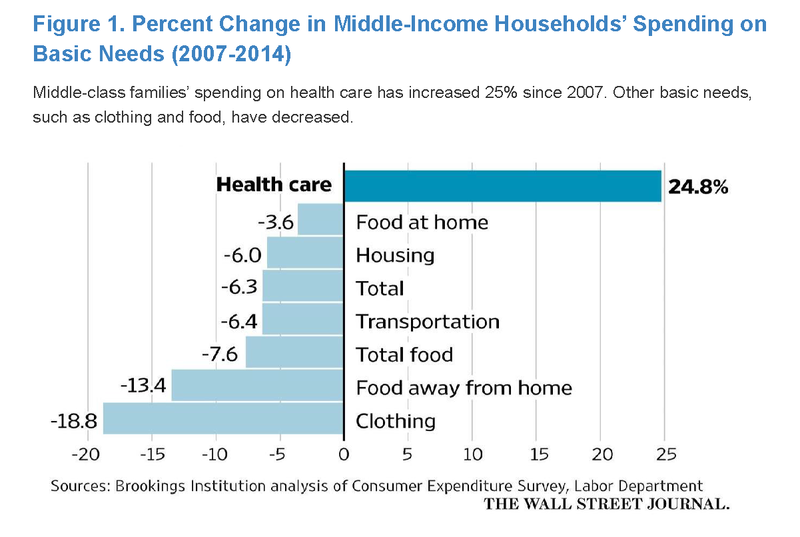 Hospital Prices and Health Spending on the Privately Insured. National Bureau of Economic Research. Working Paper No. 21815. http://www.healthcarepricingproject.org; New York State Health Foundation. (2016). Why Are Hospital Prices Different? An Examination of New York Hospital Reimbursement. http://nyshealthfoundation.org/resources-and-reports/resource/an-examination-of-new-york-hospital-reimbursement; National Academy of Social Insurance. (April 2015). Addressing Pricing Power in Health Care Markets: Principles and Policy Options to Strengthen and Shape Markets. https://www.nasi.org/research/2015/addressing-pricing-power-health-care-markets-principles-poli; Laugesen, M.J., & Glied, S.A. (2011). Higher Fees Paid To US Physicians Drive Higher Spending For Physician Services Compared To Other Countries. Health Affairs 30(9), 1647-1656. http://content.healthaffairs.org/content/30/9/1647.full.html; Anderson, G.F., Reinhardt, U.E., Hussey, P.S., & Petrosyan, V. (2003). It’s the Prices Stupid: Why the U.S. Is So Different from Other Countries. Health Affairs 22(3), 89-105. http://content.healthaffairs.org/content/22/3/89.full.html; and Aaron, H.J., & Ginsburg, P.B. (2009). Is Health Spending Excessive? If So, What Can We Do About It? Health Affairs 28(5), 1260-1275. http://content.healthaffairs.org/content/28/5/1260.full.html. Committee on Quality of Health Care in America, Institute of Medicine. (2001). Crossing the Quality Chasm: A New Health System for the 21st Century. http://nationalacademies.org/hmd/reports/2001/crossing-the-quality-chasm-a-new-health-system-for-the-21st-century.aspx; and Kessler, D.P., & McClellan, M.B. (2000). Is Hospital Competition Socially Wasteful? Quarterly Journal of Economics. 115(2), 577–615. Cutler, D. M. (2010). Where are the health care entrepreneurs? The failure of organizational innovation in health care. Innovation Policy and the Economy 11(1), 1-28. http://www.journals.uchicago.edu/doi/10.1086/655816; Herzlinger, R. (2016). Why Innovation in Health Care is So Hard. Harvard Business Review. https://hbr.org/2006/05/why-innovation-in-health-care-is-so-hard; and Chin, W.W., Hamermesh, R.G., Huckman, R.S., McNeil, B.J., & Newhouse, J.P. 5 Imperatives Addressing Health Care’s Innovation Challenge, Forum on Healthcare Innovation. Harvard University. http://www.hbs.edu/healthcare/Documents/Forum-on-Healthcare-Innovation-5-Imperatives.pdf.